Pasta was my go do pregnancy food when I was carrying Violet. Seriously, I would wake up at 5 AM and caramelize some onions, reduce a white wine cream sauce, and indulge in some whole wheat pasta goodness. I think that I am gonna make the Lemon Garlic Spaghetti tonight. Tell me, what looks like a winner in your book? 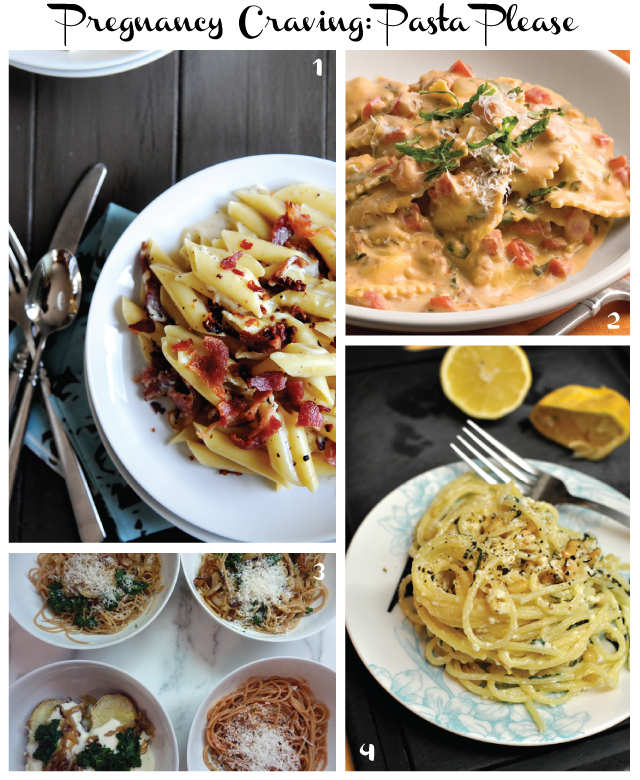 Do you have any favorite pasta recipes?